Description: A look at implementing color theory in an acrylic painting. Monochromatic, analogous, split complementary, and complementary schemes are explored. Suggested Materials: Stretched canvas, "HB" graphite pencil, ruler, kneaded eraser, acrylic paints (Ultramarine, Alizarin Crimson, and Cadmium Yellow Light), nylon brushes. I thought this segment was very instructive. 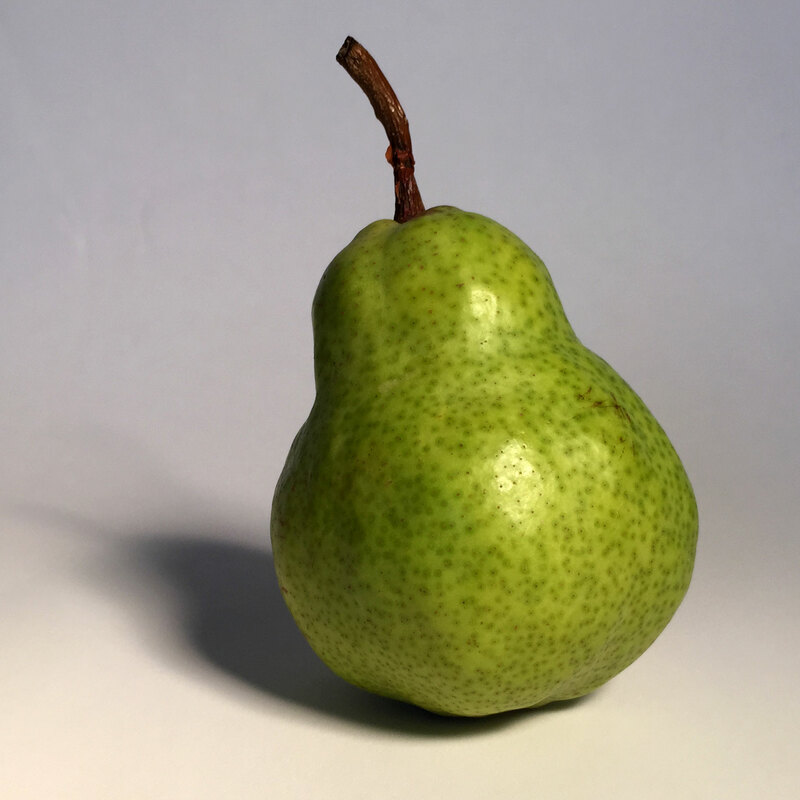 It might have been interesting for you to discuss your feelings regarding how the different color schemes affected your perception of the pear. you mentioned mood, and it would be interesting to explore this further. thanks!!!!!! It is fascinating to watch you work in layers – something I have no idea how to do (at least not yet). To what extent is the paint drying as you apply more? Are you purposely letting or not letting it dry before you add more? The paint is drying very quickly here – within a few minutes. I’m not really purposely letting it dry – it’s just drying very quickly while I continue to work. Without slow drying additives, this is the nature of acrylics. They are suited for multiple layers added in a short period of time. Very good study! Extremely helpful and useful! Thanks Matt, I learned quite a bit and will certainly be useful on my next project. Makes it much easier to understand how to apply the paint/colors which will give better results than I have been getting. The drawings can be spot on…but the wrong colors/scheme can undo my detailed work in a heartbeat. Thanks again. So glad I purchased this package!